Donald Trump elected president of the United States – the future looks grim. A cartoon showing two people in a devastated landscape, with a tattered stars and stripes flag. 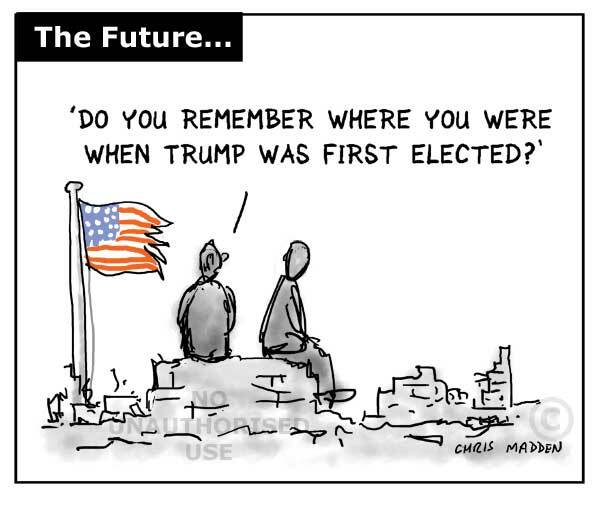 One of the people is asking the other if he remembers the time when Donald Trump was first elected as president of the United States (implying that the degraded landscape in which they are sitting is a result of the Trump presidency).